Why is Pest Control treatment necessary in Hospitals? Health facilities Hospitals, long-term care facilities, Emergency Medical Care Centers and physical or mental rehabilitation facilities, face many challenges to ensure that they meet the highest level of sanitation while caring for sensitive populations. Since pests pose a number of health threats through the spread of bacteria and contamination of surfaces, medical supplies and equipment, ensuring that the facility remains pest-free is one of these challenges. So, there's a high requirement of best Pest Control treatment in Hospitals. As the size of facility increases, so do the risk factors for pest infestations larger kitchens, more food being served, more bathrooms and more visitors, among others. Other factors include the condition of the populations housed within the facilities and the organizational complexity of decision-makers. The best way to prevent a pest problem is to understand how pests gain access, what pests are most problematic, where infestations are most likely to develop and how to prevent them. While there are many reasons why secondary infections can occur in health care facilities, common pests carry bacteria on their bodies, which can directly or indirectly impact patients either through personal contact or through contamination of equipment, supplies and surfaces in various parts of the facility. Cockroaches. Cockroaches spread nearly 33 different kinds of bacteria, six kinds of parasitic worms and at least seven other kinds of human pathogens. As vectors for disease, cockroaches often carry bacteria such as Escherichia coli and Salmonella on their bodies, which not only contaminate food, cooking equipment and food preparation surfaces, but also compromise the sterile environment of operating rooms and the cleanliness of exam rooms and patient rooms. Cockroaches also are responsible for increasing the severity of asthma and indoor allergy symptoms, especially in children and the elderly. Cockroaches are most likely to be found in locker and break rooms, laundry rooms, janitorial closets, food service areas, restaurants and snack bars, vending machine areas, food carts, floor drains and sink areas, intensive care units (ICUs), kidney dialysis and autopsy rooms as well as loading docks and garbage disposal areas. Rodents. Rodents can enter buildings through almost any opening or crack larger than a dime. Once inside, rodents can cause structural damage as they are able to chew through wallboards, cardboard, wood and plaster and through electrical wiring, increasing the potential risk of fire. Additionally, rodents defecate constantly and can easily contaminate any and all food and food preparation surfaces. Facilities professionals must inspect for rodent droppings, especially in undisturbed areas like cafeteria pantries, storage areas and along walls. Rodents typically are found in laundry rooms, food service areas, food carts, loading docks and garbage disposal areas. Ants. Ants are social insects. Therefore, spotting one ant indicates that many live within close quarters. While ants can contaminate food and food surfaces, the species of ant that is most worrisome in health care settings is the pharaoh ant. These ants can spread more than a dozen disease pathogens including Salmonella and Streptococcus pyogenes and are problematic because of their attraction to intravenous units, medical preparations and open wounds. Ants can be found in a wide range of laundry areas, ICUs, kidney dialysis and autopsy rooms. Flies. Flies have been known to carry more than 100 different kinds of disease-causing germs. They contaminate food and surfaces by spreading disease organisms picked up on the silla on their bodies and through their saliva that is used to break down foods. They also defecate constantly. Keeping trash receptacles closed and as clean as possible, removing trash frequently and keeping food areas clean and free of food debris go a long way in keeping these filthy pests away. They can be found in almost every part of a health care facility, including food service areas, food carts, ICUs and surgical suites, autopsy rooms, laundry rooms, loading dock and garbage disposal areas. Bedbugs. Bedbugs have made a serious comeback in the last two decades. A 2013 survey conducted by the National Pest Management Association and the University of Kentucky found that 33 percent of pest control professionals have treated for bedbugs in hospitals, while 46 percent did so in nursing homes. Although bedbugs are not considered vectors of disease, their bites can leave itchy, red welts and their presence can cause anxiety and sleeplessness. In some cases, patients also can experience a secondary infection caused by scratching at the bites and causing skin trauma, allowing for a port of entry for infection. Because bedbugs and their eggs hitchhike in bags, shoes and on people, they easily can be brought into a health care facility. Bedbugs most often are found in patient room beds, waiting area furniture, and laundry facilities. 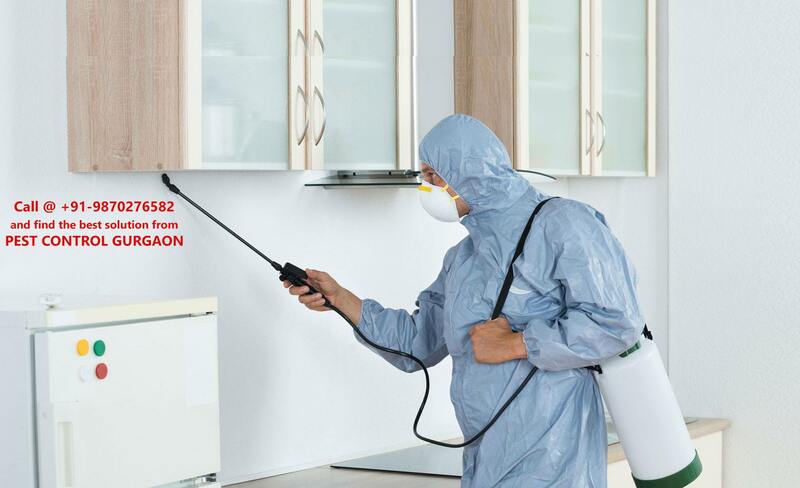 We, Pest Control Gurugram have over 20+ Year Pesticide experience & we are government approved agency to cater all pests related problems including moths, rodents, mosquito, bed bug, termite, ant, flies, spider and many more. For your solution, contact us at +91-9870276582 and know the best services from Pest Control in Gurugram to get rid of any pest related problems.